Most photographs of Dubai present a panoramic view of the man-made islands of Palm Jumeirah and Burj al Arab. The shorelines that have been added by various developers over the years simply go on to extend the coastline of this remarkable Emirate- which incidentally is only 40 kms. Sightseeing in Dubaialong the beaches is one thing we at One World won’t let you miss out on. The waters are clean and the underwater habitats, beautifully preserved. Take the Jumeirah Beach which is an all-time favorite with tourists and residents alike. Housing a spectacular 7-star hotel like the Burj al Arab is enough of an excuse to visit this beachfront. It is easily accessible and we can arrange for a Dubai car rental to take you right up to the beach side. The Jumeirah beach along with the other public beaches have an active lifesaver cell and are safe for children as well. Barbecues, deep-sea fishing, public parks, amusement and recreation areas and even surfing activities are allowed on any beach in Dubai. The winter months are the best periods of the year to start out on your Dubai Tour Packages if you are of a mind to enjoy the Dubai beach life as well as the choppy waters required for surfing. Another great beach front to visit while on your Dubai City Toursis the Al Mamzar Park which has a lovely beach side area. The Palm beach too makes for some stunning holiday memories you can treasure. One World can help out with any Dubai hotel bookings for your family vacation or solo trip. If you are part of a MICE in Dubai, then one of the attractions we can add to your package is a sightseeing trip along the Dubai beach fronts. Dreaming Of Romantically Idyllic Dhow Cruises In Dubai? If Dubai were Venice, the traditional dhows that ply its waters would be akin to the rustic gondolas used to navigate the streets of the Italian city. But the dhows of the Middle East are even more sophisticated and beautiful than the gondolas of the West. While this lofty comparison could be just because we are a loyal Abu Dhabi travel company, dhows are undoubtedly an ubiquitous feature in the Emirate of Dubai. Unlike the Venetian gondolas though, dhows are more of a tourist feature than a water taxi. A Dhow Cruise in Dubai is a unique experience and every traveler visitng Dubai for the first time must have a ride in one to round off their sightseeing in Dubai. 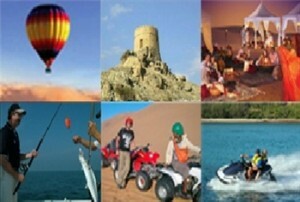 Select Dubai City Activities like the ones offered at One World include even more routes for a Dhow Cruise in Dubai. 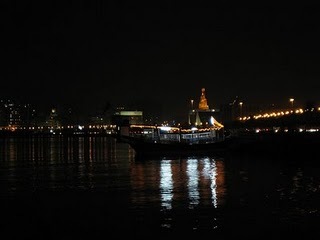 A popular route your guide will take you down by is the magnificient Dubai Creek. Other equally popular routes include Mussandam, Khor Sham and Kumzar. There are fine dining options, entertainment options like belly dancing (available only in the Marina Dhow Cruise) and traditional dancing, barbeque dinners, snorkelling activities and a lot more you can enjoy aboard a Dhow Cruise in Dubai. All along the way, you shall get to savour the sights and sounds of Dubai’s bustling and thriving urban life. 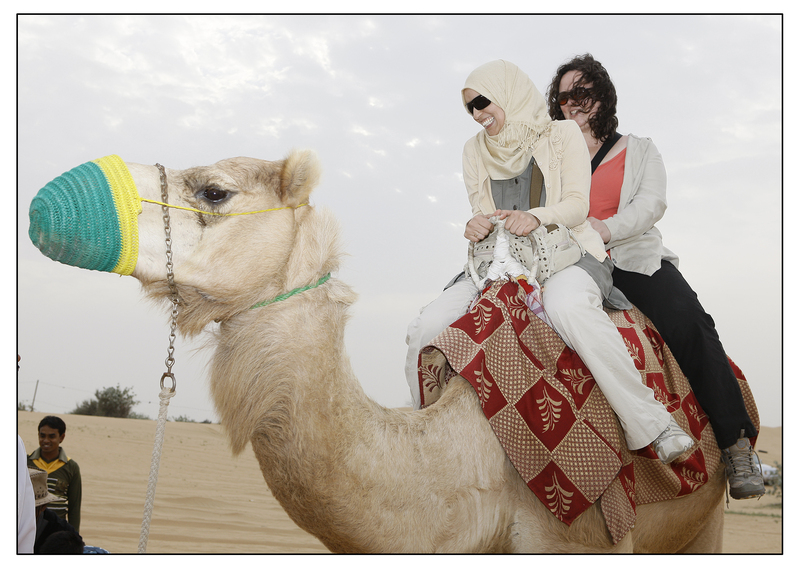 Many travellers going sightseeing in Dubai never fail to marvel at the contrasts between tradional and modern Dubai. To get the most of out of your Dubai Tour Packages, you could visit One World and see what else we can help you in.Written by Casey Andrews. Almost every photograph I have come across of the Atlantis resort tends to be a fine specimen of imagery. It is almost as if this jewel of the Palm Jumeirah is a lesson in traditional Arab aesthetics itself! Most tourists who visit the U.A.E. make it a point to visit the man-made islands constructed in Dubai waters, commonly known as the Palm islands. While there is no shortage of luxury hotels in Dubai, a stay at any of the coveted hotels dotting the Palm islands is an experience in itself. The Atlantis resort however, is a feat of Arab architecture and tends to overwhelm the senses. This beautiful 5-star resort also happens to house the tallest and fastest free fall water slide in the Middle East (it has a drop of 27.5 metres). efficient five-star service and £13,000/night stay. However, if the price is too steep for you, you could simply make your Dubai hotel bookingat another location and head over to the Atlantis and soak in some spectacular sightseeing in Dubai. 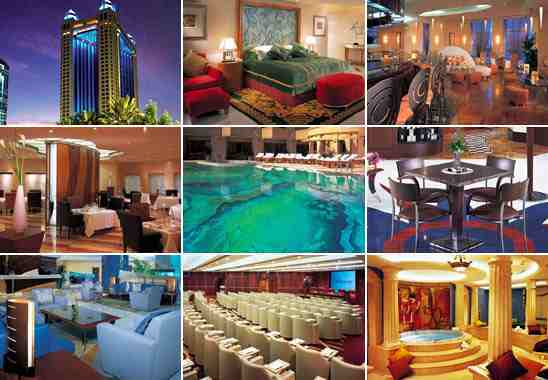 One World can take care of your hotel booking in U.A.E. at the Atlantis or recommend you another location. Our Abu Dhabi travel company suggests you take a look at the Lost Chambers under the Ambassador Lagoon at the Atlantis- its construction promises to give you a glimpse of the original Atlantis, albeit a sunken one. Let One World know if you would like to have some help in charting out your travel plans at the Atlantis or elsewhere.